It's been all about birds the last few weeks. All these little artworks are from photos I have taken myself and they all live in my local area. Some birds, like the fairy wrens, are so sweet and little, whilst others are on first glance very plain, but are actually full of their own charm and character. 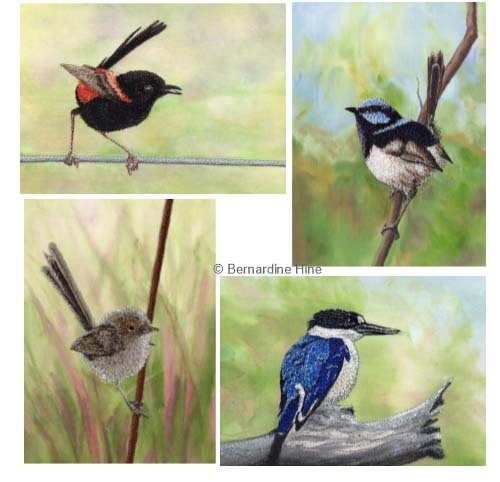 from top left clockwise: red backed wren; male splendid blue fairy wren; forest kingfisher; female splendid fairy wren. left: spangled drongo. 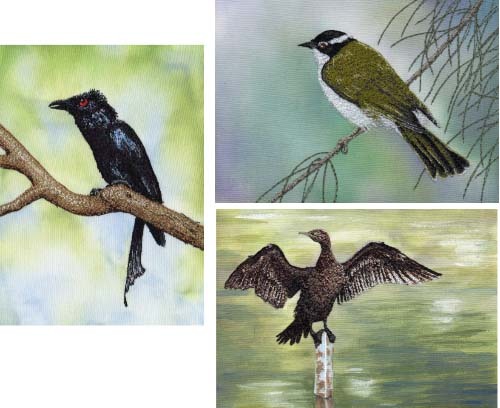 Top right: white throated honeyeater; bottom right: little black cormorant.